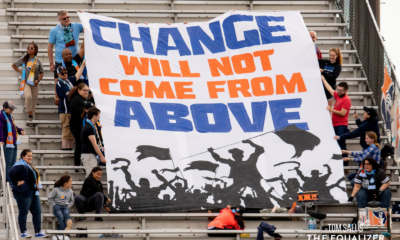 Also in today’s roundup, Raquel Rodriguez’s goal breaks NWSL record, Breakers sign Libby Stout, Courage waive Rosana, Parsons provides Thorns injury updates, and Manchester City re-sign keeper Karen Bardsley. 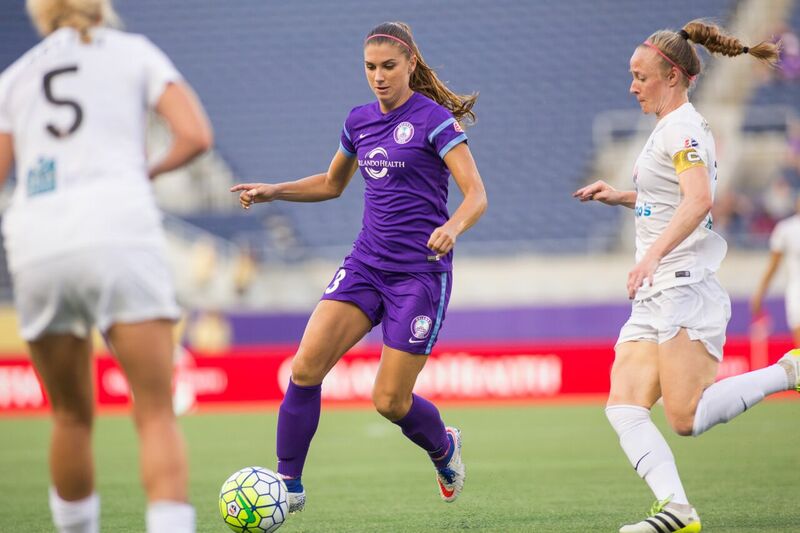 Orlando Pride announced today that they had officially added Alex Morgan to their 20-player roster, waiving Christina Burkenroad to make room for the USWNT star forward. The news comes as little surprise, as it was reported last week that Burkenroad had signed with Grand Bodø of Norway’s Toppserien league. 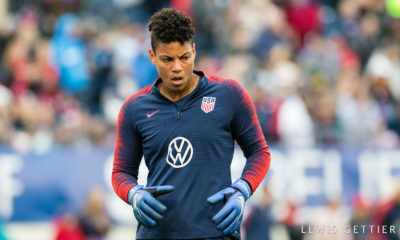 Although Morgan has officially been added to the Pride’s roster, she still will not be immediately available while she continues rehabbing a hamstring injury sustained while playing with Olympique Lyonnais. The Pride expect her to return to full health and to the team in 2-3 weeks. To make room for Morgan on a Pride roster that was already at max capacity per league rules, the Pride announced that it had officially waived Burkenroad. 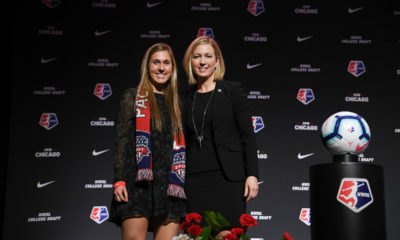 The Pride’s fourth-round pick in the 2016 NWSL College Draft had only made one appearance for the club this season, entering the Pride’s 3-1 win over the North Carolina Courage in the 82nd minute. Last season, she started in two out of seven matches for the club for a total of 252 minutes. 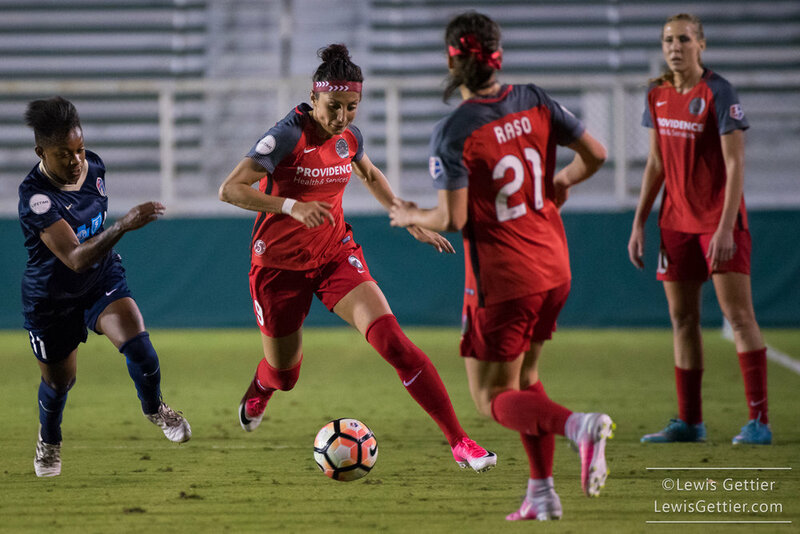 After further review, the NWSL has ruled that Raquel Rodriguez’s goal against Portland last Saturday was scored in the 24th second, not 25th, breaking the previous record for fastest goal scored in the league. 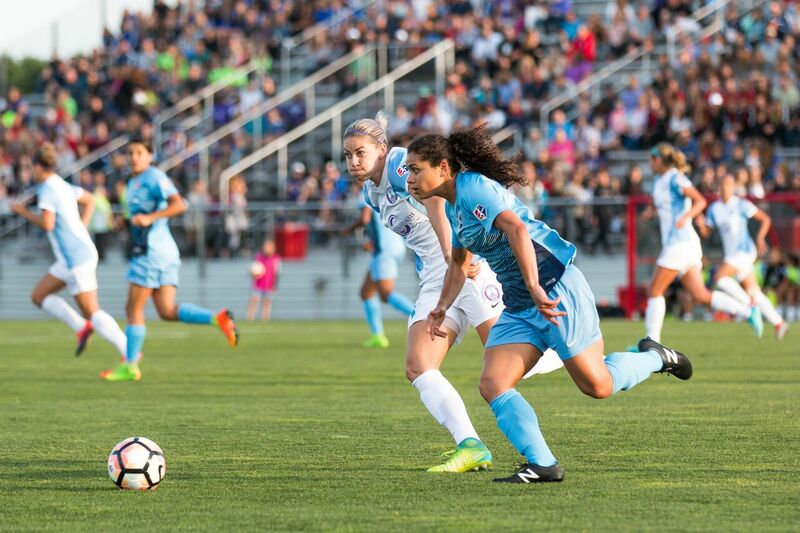 Rodriguez opened up scoring in Sky Blue’s road match against the Portland Thorns, putting the New Jersey side on the board in less than 30 seconds. The original stats put Rodriguez’s goal at 25 seconds, tying Erika Tymrak’s 2015 record for fastest goal scored in the NWSL. However, a number of fans and coaches watching the game noticed that Rodriguez’s shot crossed the goal line when the on-screen game clock was at just 24 seconds, not 25. Whether that prompted the league to review the goal more closely or not, the goal was reviewed again and officially timed at 24.76 seconds, just shy of one second faster than Tymrak’s goal. The league has corrected the time on the goal and awarded Rodriguez with the new record. The goal is Rodriguez’s third goal of the season. 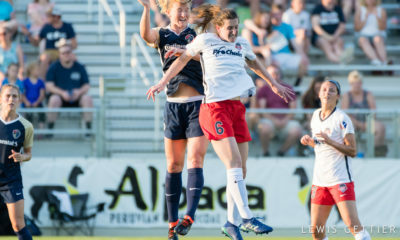 The 2016 NWSL Rookie of the Year got on the scoresheet for the first time this year with an 83rd-minute game winner against FC Kansas City in Sky Blue’s home opener on May 2. Her second goal was scored in similar fashion when she scored in the 85th minute to lift Sky Blue over Houston on May 20. The Boston Breakers have re-signed goalkeeper Libby Stout ahead of this weekend’s home clash against the top-ranked North Carolina Courage. 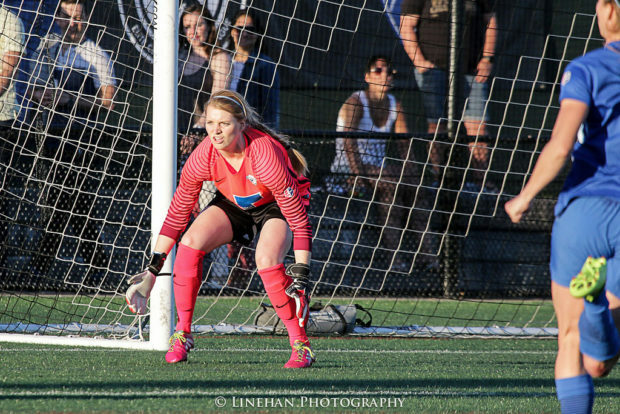 The news comes just a day after Stephanie Yang of The Bent Musket reported that the Breakers would be without starting goalkeeper Abby Smith, who was having issues with the knee she suffered a season-ending strained ACL and torn patellar tendon in last season. The team confirmed today that Smith had to receive a platelet-rich plasma injection into her right knee and would be unavailable against the Courage. Stout originally came to the Breakers as a discovery player ahead of the 2016 season after playing for Breakers coach Matt Beard with Liverpool LFC for two years. She saw nine starts in 10 appearances, recording 42 saves and a 2.10 goals against average. The Breakers waived Stout on May 10, awarding the backup keeper position to Sammy Jo Prudhomme, who head coach Matt Beard took with the 31st overall pick in the 2017 draft. Reports out of Boston suggest that Stout’s signing is simply to fill in the second goalkeeper spot for this weekend. Yang tweeted this afternoon that Beard seems keen on putting Prudhomme between the posts against the Courage on Saturday. If so, it will be Prudhomme’s professional debut. 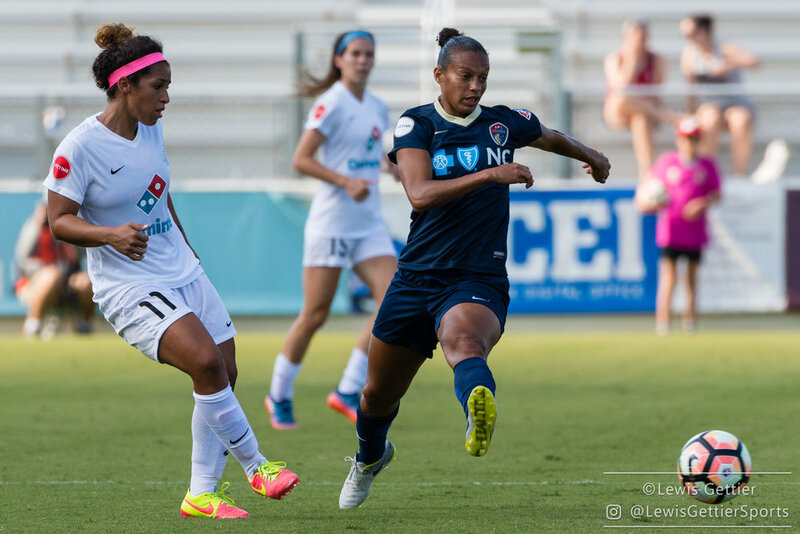 The North Carolina Courage have waived midfielder Rosana according to an announcement made by the team this afternoon. According to head coach Paul Riley, an opportunity to play elsewhere and the lack of playing time with the Courage were factors in the Brazilian international’s departure. 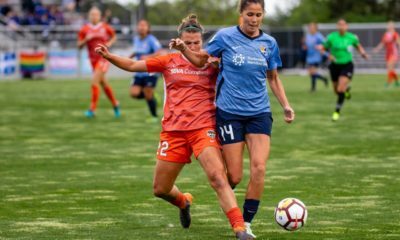 Rosana came to the Courage after initially having her rights traded to the Western New York Flash from the Houston Dash, with whom she signed in 2014 despite never making an appearance for, in exchange for a third-round pick in the 2018 draft. The trade happened weeks prior to the Flash’s sale, and just a day after the announcement of the Courage’s existence, the team signed the midfielder for the 2017 season. For the Courage, Rosana has started in one of four matches played. She has recorded one shot in the 78 minutes she has played this season. 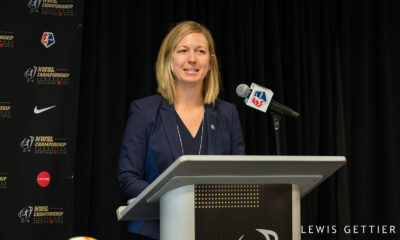 While several teams continue to suffer injury woes, the Portland Thorns have received some good news regarding injuries. Jamie Goldberg of The Oregonian reported that, although Tobin Heath and Meg Morris had both been placed on the 45-day disabled list after the team decided to take a “step back” in their recoveries, several other Thorns were healthy again and likely would be available for Portland’s road match against the Spirit this weekend. Forward Nadia Nadim missed last weekend’s home match against Sky Blue with a slight hamstring strain, but head coach Mark Parsons said, “Nadia will be fine for Saturday.” Nadim will not only travel with the team to Maryland but will most likely make a return to the lineup. Although Amandine Henry did not train with the team yesterday after tweaking her thigh, Parsons said she would be available for the Thorns this weekend, as would Mana Shim, who has been dealing with a left foot sprain. Dagny Brynjarsdottir, who has only played 24 minutes for the Thorns so far this season due to a lingering back injury, will also travel with the team. According to Parsons, she is healthy and continuing to build up her strength and match fitness. The news was not as good for Katherine Reynolds, whose left groin strain will prevent her from returning to full training with the team for a few more weeks. Goalkeeper Karen Bardsley has signed a two-year contract extension with Manchester City. The 32-year-old England WNT goalkeeper has been with the club since 2013, its first year in the FA WSL. “I’m really excited to have put pen to paper and remain at a place I absolutely love. I’m proud to be part of Manchester City and I’m excited to see out the next couple of years. It was never in doubt,” Bardsley said in a statement released by the club. The Santa Monica, California native has helped Man City earn four trophies in three years, including last month’s FA Cup. She has also won two Continental Tyre Cups and a league title with the club, as well as played in the team’s first ever Champions League tournament, helping the team reach the semifinals where they were defeated by Olympique Lyonnais, who would go on to repeat as UWCL Champions.